Tanks requiring industrial tank heaters can utilize indirect heating with band heaters or, they can use direct heating that typically uses some form of immersion heating. 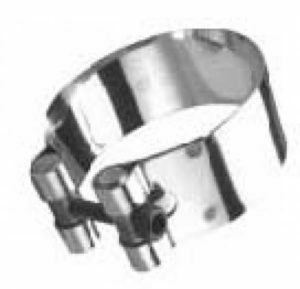 WATTCO Band heaters can be found in several types of dimension, wattage, voltages and material. 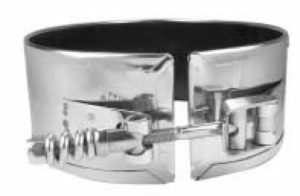 Mica band heaters are an inexpensive industrial heating solution that surrounds pipes and tubes that require external indirect heating. Pipe heating, drum heating, barrel heating normally used for oils, lubricants or any other circular applications. 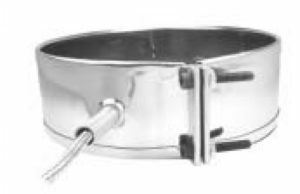 Band heaters use electric heating elements (NiCr wire) to heat-up the external surface of drums or pipes for a gradual heat transfer. Band heating is an indirect form of industrial heating and offers safety when heating volatile and explosive substances as well as pipes or containers that cannot otherwise be heated using direct heating methods. Industrial band heaters can be made with NEMA 1 terminal boxes or NEMA 4 moisture resistant terminal boxes that protect terminations and have the option of a thermostat or thermocouple digital temperature controllers to help control and regulate an applied heat. Insulation is also required to help direct the heat to your application rather than experience heat loss, and slow heat-up time. Band heaters from WATTCO are the ideal solution for high watt densities and high operating temperature applications, especially for the plastics industry. 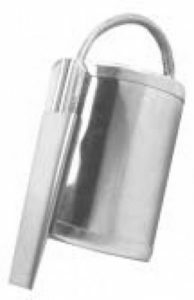 The various types of band heaters available at WATTCO include mica insulated band heaters and ceramic band heaters. 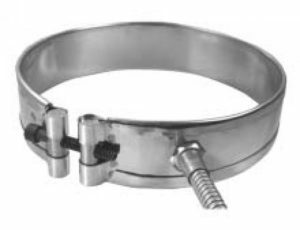 Straps are tightly clamped around the cylinder’s surface and distribute the drawing force uniformly around the band heater. This force is transferred to the inside windings and improves heat transfer by providing effective surface contact and eliminating air gaps. Design is similar to that of the built-in barrel nut. 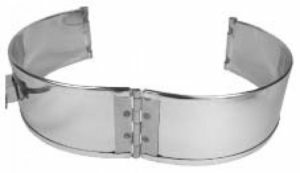 Made of an independent strap fastener that is spot welded to the top sheet on each side of the gap. 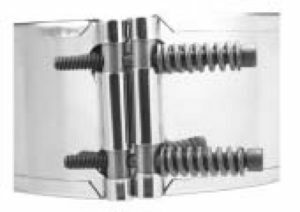 This type of clamping mechanism is used to accommodate a heated section below the fastener. The most economical clamping mechanism. Designed for narrow heaters. clamp releases with a flip of thumb. 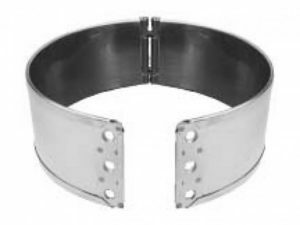 In the fastened position, the spring-loaded ¼-20 bolt absorbs the thermal expansion. Made of independent straps, built-in barrel nuts, and spot-welded straps with longer screws with die springs. Springs tightly affix the band heater for thermal expansion. ¼-20 screws included. 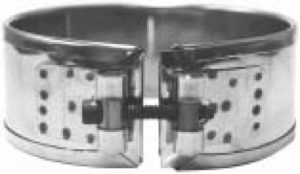 Designed for two-section partial heaters. 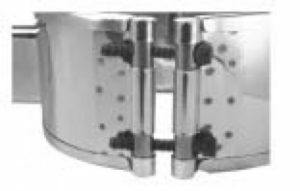 If a complete band heater cannot be used due to an obstruction, a large gap must be created in order to fasten the heater to the cylinder on either side of the gap. Do not use clamping pads on both sides of the same section of the heater. Thermal expansion may cause the heater to detach from the cylinder.